Miss Unoaku Anyadike is an unusual queen. She goes down in the history of Most Beautiful Girl in Nigeria (MBGN) pageant as the only queen who reigned for two years. All other queens reigned for a year. However, every good thing must one day come to an end. On September 15, 2017, Anyadike will step aside and a new queen would be crowned during the 30 anniversary of MBGN taking place at Eko Hotels & Suites, Victoria Island, Lagos. In this chat with Entertainer , Anyadike opens up on her reign,relationship goals, struggle with Endometriosis and what she will miss most being MBGN Queen. Enjoy it. You have a velvety and glowing skin, what is the secret? Wow! Thanks. I guess I drink a lot of water. I also make sure I have adequate sleep and eat right. And besides, God blessed me with good skin. And for me eating right simply means eating when you are supposed to eat. I do lots of fruits, vegetables, water, less carbs and stuffs like that. When you look back at the last two years, what would you say are the high points of your Queenship? I have many fond memories. Going for the international pageants, Miss World and Miss Universe this year was a mind blowing experience, most especially, Miss Universe in The Philippines. I must confess they were both memorable experiences that will linger for a long time and I will never trade them for anything. I wouldn’t have had these experiences but for MBGN. MBGN gave me the platform to travel far and wide and make my country proud. And also, being able to help people is one experience I have enjoyed greatly. I am talking about the less privileged among us, and of course, my pet project, which was endometriosis. Creating awareness for the condition was quite fulfilling for me. Why did you make endometriosis your pet project? At some point, I thought I actually had endometriosis and it was tough for me. I had some experiences and it became a cause very dear to my heart, so I decided to create awareness about it, because a lot of people do not know about it. How has the MBGN platform impacted you in the last two years? It has opened a lot of doors for me. I have met and rubbed shoulders with a lot of important people and world leaders, and not just in Nigeria but also across the world. I would always cherish those moments. I learnt that life is about meeting people, traveling, networking and building bridges so that we could have good and lasting relationships with people. What were your happiest moments? Have you read it? : Former Miss supernatural Asha Bhat shares breathtaking photos and we can't get our eyes off it. I have had a lot of them but I can’t point to one and say ‘yes, this is my happiest’. I have had a beautiful two-year reign as MBGN. I got two years instead of a year, so I guess God loves me. I was privileged. That would take me a long time to work out. Maybe now that I am about to handover to another queen, as my reign finally comes to an end, I might feel sad because I will be missing the platform. However, I have not really had any saddest moment as such. Silverbird (Group) has been good to me, taking care of me in every way they can, and they are still doing that, and I am sure that is not going to end even after I hand over. For now, it is a grill of mixed emotions and I can’t wait to crown the new queen. Are you sure you won’t break down in tears on September 15 when you crown the new queen? (Laughter) No I won’t. It is going to be emotional because I have been queen for two years. Two years seemed like forever. MBGN happens to be on September 15 and my birthday is on September 16, so I’ll hand over on the eve of my birthday. It’s a great way to start a new year. What beautiful memories are you taking with you? The relationships I have built over time with the Silverbird Group, the girls I met at Miss World and Miss Universe, and every other person I met internationally. I am still in touch with a lot of the girls I met including Miss India and Miss USA among others. So, life is all about making lasting relationships with different people and that is one thing I won’t trade for anything. Beyond MBGN, what is the next level for you? Wow! That has already started, and it is work, work and more work. That includes facing my career, building and training myself and trying to become a better person and focusing on things I hope to achieve with my life as an individual. MBGN was just something I said ‘let me try and see how it goes’ and it was mind blowing. It was not like I had been planning to be a queen forever. MBGN just came along and I gave it a shot and I was lucky enough to win. So now that it is winding up, life will still continue. I had to finish school, do NYSC, which I have completed, and now I work with the Federal Inland Revenue Service (FIRS); and I am looking to have my own school and do my own show among a lot of other things. Have you read it? 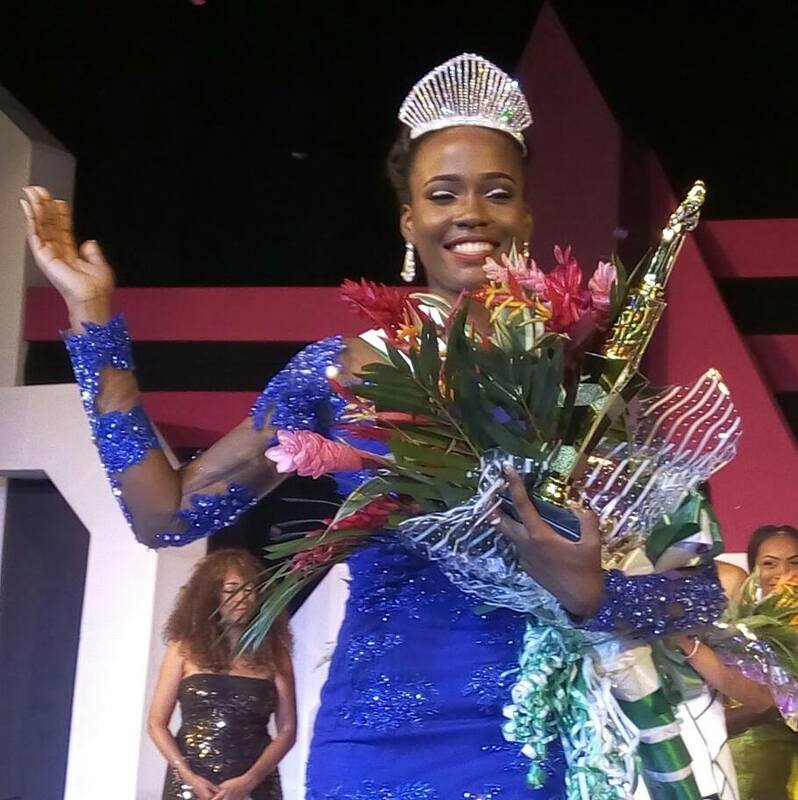 : (Shocking death) Miss Health Africa loses mum to cancer on her birthday. What happens to your pet project on Endometriosis? It would still go on. Endometriosis has no cure, so it is all about creating awareness. Endometriosis has an awareness month; so we will still create awareness, hold walks in Abuja and in every state of the federation. I partner Nordica Fertility Centre and whenever they have events, they call me as endometriosis ambassador. It is not really tasking, so I will continue to do it alongside some other projects I have. You are pretty. Tell us about the man in your life. I would rather not talk about that in the newspapers. My love life is personal and not for public consumption. You have worn the crown for two years and now you are stepping aside. What advice do you have for the next queen? I will advise every young girl who wants to go for MBGN, and whoever wins MBGN to just be herself. Be yourself; don’t try to be me or any other person. Don’t try to be any other person that went before you. Yes, these people can be your role models, but please be yourself and enjoy the moment. Be cool and don’t get carried away by what happens in our society nowadays. Just maintain your values. What has changed about you? I have learnt to be a bit more patient and a bit more understanding. Before being queen, you were relating with people but you can’t compare it to you being queen of a big country like Nigeria, and everybody is looking up to you, to see the next move you make or your next mistake or that good thing you do. So, that is the difference. I have learnt to be more understanding and careful of things I say and do, because people like to misinterpret things. What you mean may not necessarily be what will be interpreted, so you have to be careful of what you say and things you do. You are relating with people and everybody is not going to be how you want them to be, so you need to be smart, you need to know how to work with people, because if you can work with people and you can build relationships and be more understanding and patient, you will go far. Have you read it? : Miss Universe 2017 Winner: 5 Interesting Facts you probably didn't know about Demi-Leigh Nel-Peters. My dream is to become a renowned psychologist. I am still going to do my Master’s degree, have my own school and crèche, not just in Lagos but also all over Nigeria by God’s grace. I also want to be a serial entrepreneur. You won’t talk about your relationship but could you give us a description of your ideal man? My ideal man, first of all, has to be God fearing. Everybody could say that is a cliché but it is really important. I have to be attracted to him though, its part of it. And you have to be a hard and smart worker. I don’t like lazy men; you have to be on your feet. You have to be loving and caring as well. I don’t care about height. He could be short or tall and I don’t care about age, but he must be attractive. However, what matters for me is what is inside. That means you can date an ugly man? Beauty is in the eyes of the beholder. What is ugly to you may be handsome to me. I don’t think there is anything like dating an ugly man. He might be ugly to you but he is handsome to me. It is basically beauty from the inside; that is the most important thing. If your inside is as beautiful and amazing, what is on the outside is of no consequence, so it is your inside that matters. How do you feel when you read negative reports about you? I have learnt to develop a thick skin. I am thankful for my family who has been my backbone and my fiends too who have been very supportive. So, you see negative things and you just laugh it off, because if people are not talking about you, then you are nobody; you are not relevant. You see negative reports and you just laugh and move on with your life. (Young and pretty)Queen Ogwo Karachi Glows in New shoots.